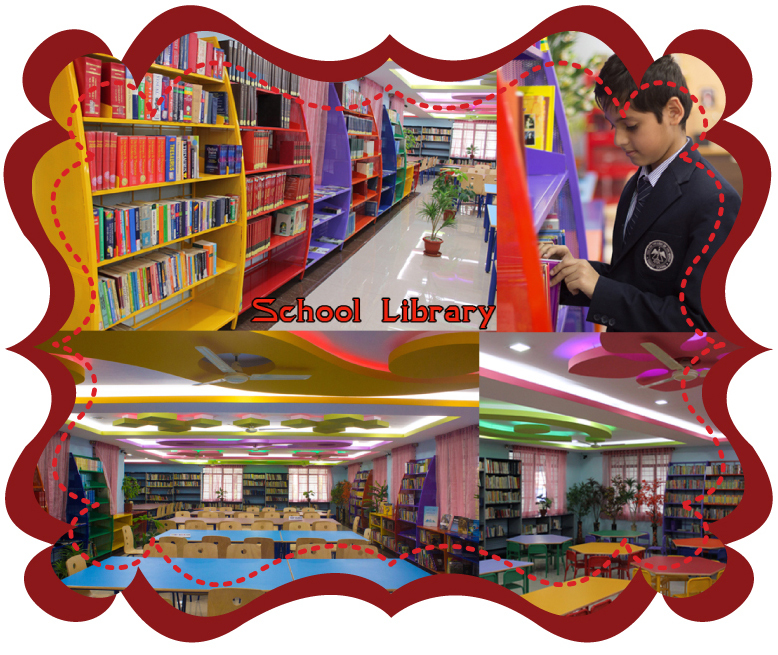 The School endeavors to maintain a wellequipped library, reading room and a Home Theatre. It has already a collection of 14,000 books, 5000 reference books, many sets of encyclopedias and a good collection of audio and video cassettes of educational value. The reading room has many periodicals in three languages. These are to be made the best use of by Students and Teachers as well. Students from class 5 have direct access to the library shelves for selection of books. They can also borrow books. Two books will be issued to Students at a time on producing the identity cards. These books can be kept for two weeks in their custody, at the end of which they are to be promptly returned. They can also be renewed for another one week. Library books are to be taken care of and used properly. While taking a new book out, any defect or damage of it must be brought to the notice of the Librarian and Class Teacher immediately. Any damage or loss of the book should be compensated. Books lost will have to be replaced or paid for in twice the price. Students are not allowed to exchange or lend books among themselves or with outsiders. Books will be issued at specific times notified on the library notice board for each class. Reference books will not be issued out of library. They can be used for reference and study in the reading room. Newspapers and magazines in the reading room can be used by everyone, when the library remains opened. They are not to be taken out of the reading room. The periodicals of the previous month may be issued to the Students. Only note books or papers and pen will be permitted to be brought to the library or reading room. During library periods, the whole class may be brought to the library and they remain under the supervision of the classTeacher. Perfect silence and order must always be maintained within the library.